Un video realizado durante el curso que di en Obón (Teruel) entre el 7 y el 9 de junio. Un halcón joven observado cerca de su nido. A video shooted during my art course in Obon (Teruel) the last weekend. 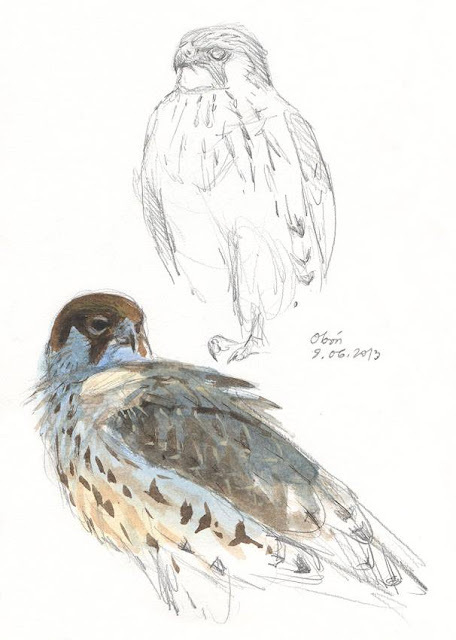 A field sketch of a juvenile peregrine on the cliffs. 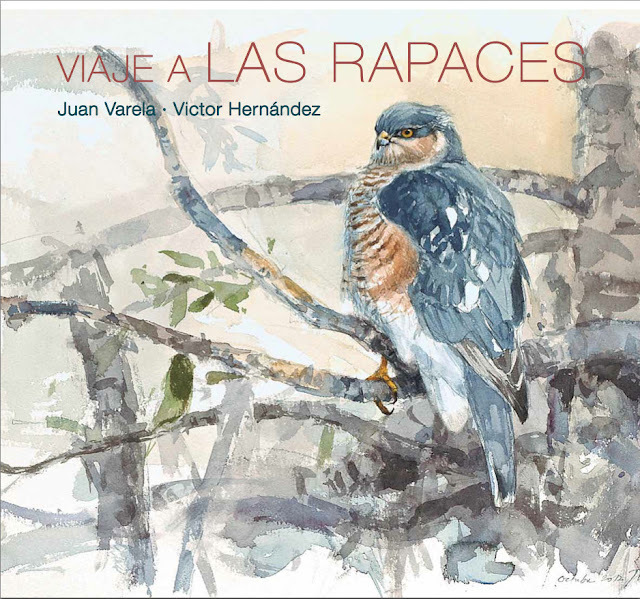 Viaje a las Rapaces es el título de mi próximo libro que será publicado por Tundra ediciones. Pero para que aparezca necesitamos el apoyo de los futuros lectores ya que será financiado por el sistema de crowdfunding. Si estás interesado en reservar la obra hazlo cuanto antes ya que el sistema de crowdfunding sólo permite mantener la web durante 40 días. Pasado este tiempo, si no se recauda lo suficiente se devuelve el dinero y el libro se va al limbo de los libros que no encontraron apoyo. Reserva tu libro ya mismo aquí y mira algunas de las páginas. A Journey to Raptors is the title of my next book to be published by Tundra editions. But to get it on paper we need the support of future readers since it will be funded by the crowdfunding system. If you want a copy book it as soon as possible since the crowdfunding system only maintains the web for 40 days. Passed this time, if we're not able to collect the necessary funds the money is returned and the book goes to the limbo of the books. With your support this won't happen! Get a copy of the book here and see some pages of it.